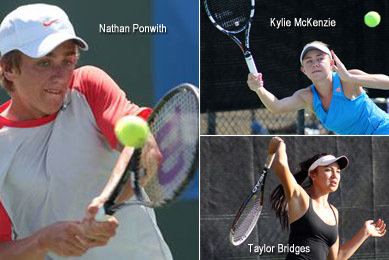 Three Southwest players - Nathan Ponwith (Scottsdale, Ariz.), Taylor Bridges (Mesa, Ariz.) and Kylie McKenzie (Anthem, Ariz.) are playing this week in Boca Raton. Fla., at one of the most prestigious junior tennis events in the world, the Metropolia Orange Bowl International Championships. he Orange Bowl is a Grade A-level International Tennis Federation (ITF) event, on par with the Junior Grand Slams, so having Southwest players in the field is a big deal. Ponwith, one of the Top 150 ranked boys on the ITF Junior Circuit, opens with Tung-lin Wu of Taipei in Boys' 18s. McKenzie, last year's USTA Girls' 16s Hard Court champion, drew a difficult opening-round opponent in fifth-seeded Elena Ruse of Romania. McKenzie is playing the Girls' 18s division. Bridges starts off her tournament with fellow American Amber Policare (Atlantic Beach, New York) in the Girls' 16s division. 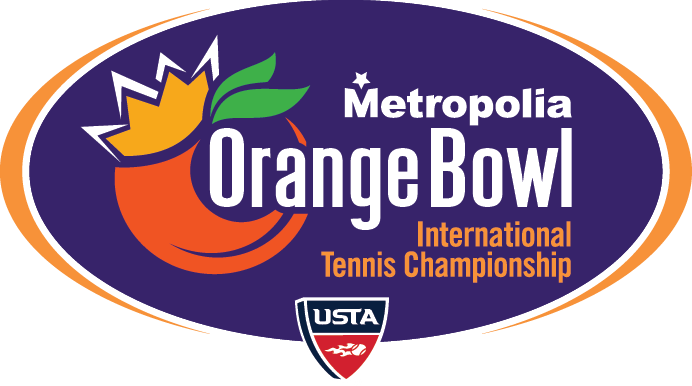 The Orange Bowl fields are 64 draws in singles and feature the top junior talent from across the globe. Founded by Eddie Herr in 1947, the Orange Bowl is one of the premier international junior events in the world. Players from more than 50 countries have competed in the tournament and champions have emerged from 28 different nations. Past winners of the Orange Bowl 18-and-under singles titles include: Chris Evert (1969-70), Bjorn Borg (1972), John McEnroe (1976), Ivan Lendl (1977), Gabriela Sabatini (1984), Mary Joe Fernandez (1985), Jim Courier (1987) and Anna Kournikova (1995). Roger Federer (1998), Elena Dementieva (1998), Andy Roddick (1999), Vera Zvonareva (2000, 2001), Marcos Baghdatis (2003), Nicole Vaidisova (2003) and Caroline Wozniacki (2005) all won the event on hard courts. Follow all the latest news, photos, draws and schedules from the 2014 Orange Bowl here or on Facebook here.